Realising the abundance of byproducts from factories and mounting pollution concerns, two science-minded students Mai Cao Kỳ Duyên and Ngô Thị Diễm Thúy from the central city of Huế have successfully developed a new type of eco-friendly and waterproof paper that can be used as a viable alternative to plastic. The paper is made of bagasse left over from the extraction of sugarcane juice and coated with a thin layer of chitosan, a natural product found in shrimp shell waste that helps to prevent leaking. The paper is disposable, waterproof, affordable and safe for human health. 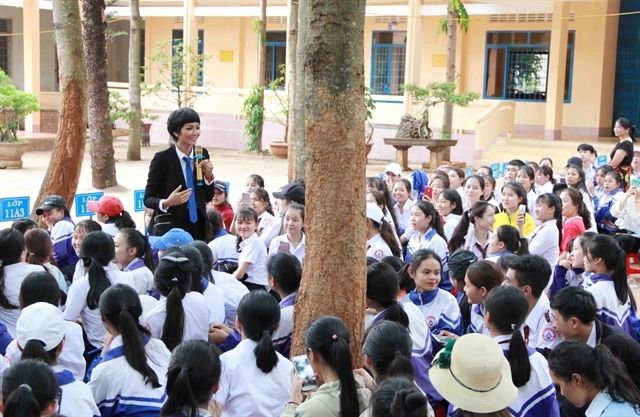 “Vietnamese people generally have little idea about environmental protection. In my neighbourhood, not many classify or recycle garbage at home, and people use way too many plastic bags. If our material is widely adopted, it will help to reduce the amount of plastic waste in the environment,” said Duyên. “We can also make the best use of byproducts from factories,” she added. 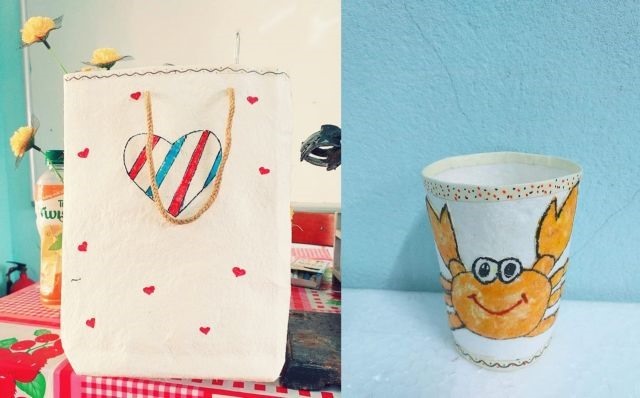 BRIGHT FUTURE: High school students Mai Cao Kỳ Duyên (left) and Ngô Thị Diễm Thúy have successfully developed an eco-friendly waterproof paper that can be used to make cups, bags and decorative wallpaper. The paper can be used to make items for daily use like single use cups, straws, bowls or decorative wallpaper. It was the sight of abundant bagasse in sugarcane juice shops in her neighbourhood that made Duyên come up with the idea of making the paper. “As paper can dispose itself in a short time, it is more environmentally friendly compared to plastic but the paper industry destroys trees and also has adverse impact on the environment,” said Duyên. The pulp and paper industries have been criticised for producing carbon dioxide, nitrogen oxide and sulphur dioxide, which are key contributors to acid rain. The girls decided to collect the bagasse from sugarcane juice shops and shrimp shells from restaurants. 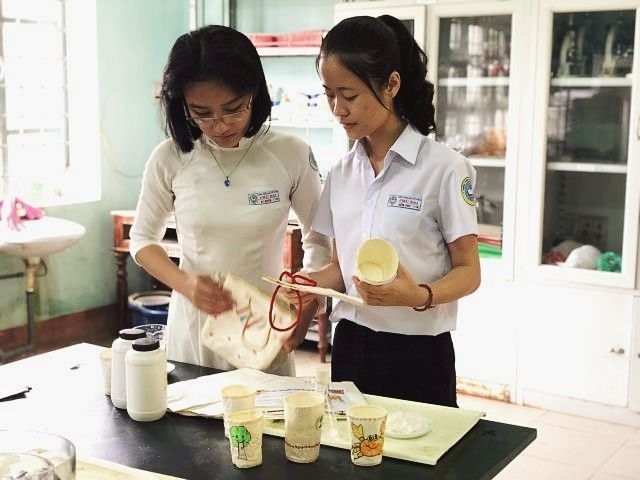 The duo then learnt how to make paper from bagasse and produce chitosan from shrimp shells on the internet with support from their chemistry teacher Lê Thị Thu Hồng. “We tested the antibacterial ability, the chemical reactions, the use of chemicals, calculating the concentration of substances, and did lots of experiments and failed many times,” she added. After one year of research and experimenting, the duo produced their first successful batch of paper last August. Since then they have produced paper every month and given it to their friends and families to “make people more environmentally conscious”. 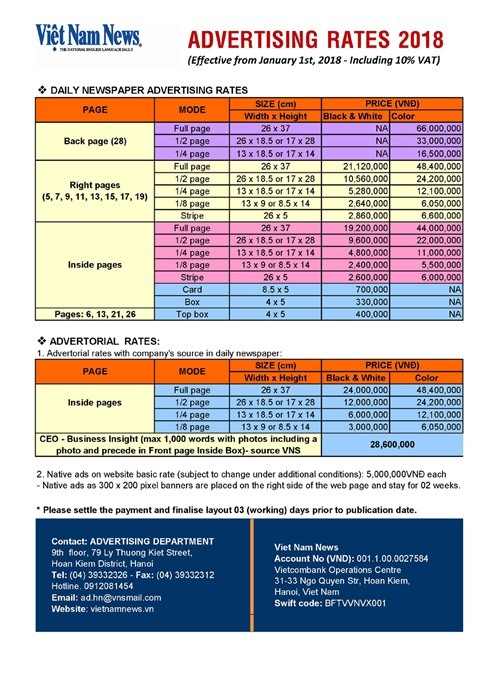 It costs only VNĐ15,000 (60 US cents) to produce one kilogramme of pulp. The final product – a paper cup - costs VNĐ250 (about US$1.1 for every 100 cups). It would be even cheaper if they were mass produced in a factory, said Duyên. 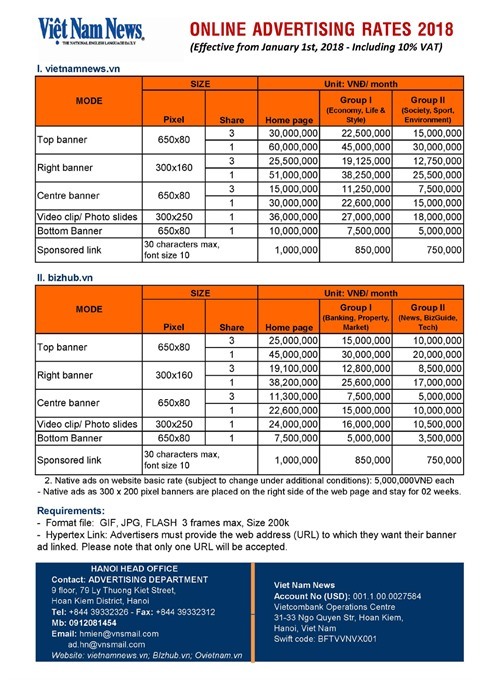 A normal paper cup of the same size is sold for VNĐ2,000 each (about $8.6 for every 100 cups). The low production cost and availability of raw material makes this a business with big potential. “Sugarcane bagasse and shrimp shells are abundant, cheap, easy to find and safe for our health,” said Duyên. Việt Nam is home to around 40 sugar mills and uses an average of 20 million tonnes of sugarcane which yields about 7 million tonnes of bagasse every year. Currently bagasse is used for the production of electricity or animal feed. The demand for eco-friendly products is increasing rapidly due to growing pollution concerns. Many restaurants, hotels and coffee shops have turned to recyclable products like paper cups, paper and metal straws, or paper take-out containers as alternatives for plastic products. A five-star hotel on Lý Thường Kiệt Street in Hà Nội started using paper products in its café and bar lounge last Saturday. 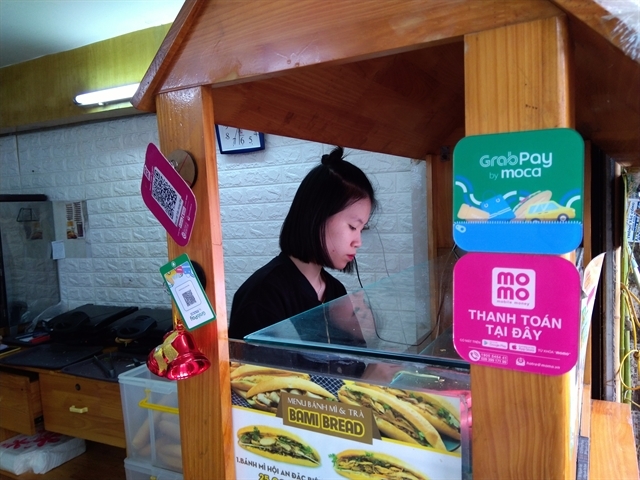 Manager Nguyễn Tuấn Ngọc said their bar lounge used to use an average of 80 to 100 plastic straws and stirrers every day but they had started replacing them with paper products. 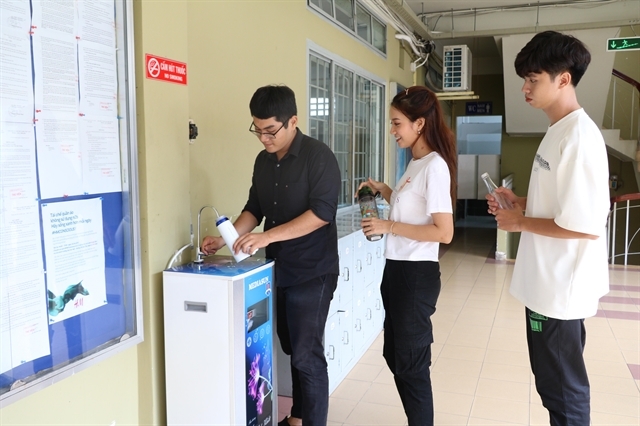 “Many hotels and restaurants around the world and in Việt Nam have turned to eco-friendly products and our hotel wants to follow suit,” he added. “This initiative not only helps us reduce the amount of plastic waste, which has a bad impact on our living environment, but also promotes the green image of our hotel,” he added.